This Sunday, America's Next Great Restaurant will crown its winner and it all comes down to Sudhir, Jamawn, and Joey. The winner will have three restaurants in some of the best locations in the country - New York, Minneapolis, and Hollywood. 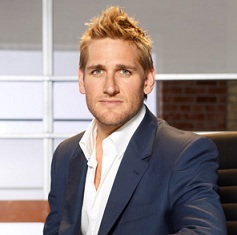 Today, we talked to investor and judge Curtis Stone in an exclusive interview about the upcoming finale and his plans to open a restaurant of his own!